Is renting a home different than renting an apartment? Yes and no. In regards to actually renting, renting a home and renting an apartment, or a condo, or a shack are all the same. However, renting a home does differ in four major ways: (1) the rental search, (2) the cost, (3) the lease conditions, and (4) the need to conduct a thorough inspection. You rent a home by contacting a landlord and agreeing to a rental lease. Usually the lease is for a year, though with homes sometimes it’s for longer. Home rentals raise the same issues and concerns as any other rental. Additionally, the same laws and protections apply. Read our article about what should be in your lease before you sign it. You will also almost certainly need to pay a deposit, which is often quite high for home leases. Why? Because the landlord has a lot more to lose if you, say, bust up the garage door, than if you break something in an apartment. There’s a lot more that can go wrong in a home. Searching for a rental home is much like searching for an apartment (click here for step-by-step details). You’ll want to check your landlord, research the neighborhood, and compare prices. Also, be ready to provide your social security number, income, and rental history. Ownership of the home – This is a big deal. If someone else owns the property, such as a bank, you might be finding yourself evicted when it’s foreclosed on. This is much more common with homes than with apartments. Ask to see the title deed for the property. If the home has a mortgage, check with the mortgagor bank regarding the currency of payments by the owner (your landlord). Past uses of the home – Check the address in the local court system, police office, country recorder’s office, and basic Internet searches. You might find that it once burned out during a meth-lab fire. Past work on the home – Check to see when the permit was pulled on the home with the local building authority. If, for example, you find that the stairs were fixed in 2009, give them extra attention. Neighbors – If the neighborhood seems a bit unseemly, run Internet and public records searches on the nearby addresses to see if anything pops up. Police raids, complaints for noise violations, and numerous crime locations are all reasons to pass up the rental. Renting a home need not be expensive. In fact, depending on the location, some home rentals are actually cheaper than apartment rentals. Renting a full home in Tucson, Arizona might run you $1,2000/mo, while renting a studio in San Francisco might cost you $2,500/mo. Generally, though, home rentals are more expensive, somewhere around 2-3 times higher than the average local apartment. And they come with hefty deposits and higher renter’s insurance rates. If you want to live on the cheap, renting a home is not the way to do it, unless you have roommates. As mentioned above, a lease is a lease in function. 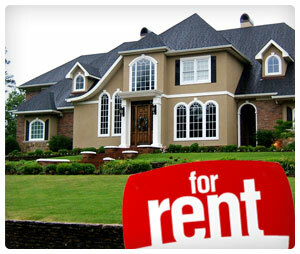 However, the terms of a home rental lease differ from an apartment lease in a few major ways. Utilities – Home renters usually have to pay for all their utilities, whereas apartment renters usually get gas and water paid by the landlord. The reason is simple: it’s very hard to determine water usage for 100 apartments; it’s very easy for a single home. Services – Unlike apartment renters, most home renters have to maintain their homes, whether this means cutting the grass, maintaining recycling, or fixing the clogged sink. This can be contracted around with terms to the contrary. Keep it in mind before signing. Restrictions – Apartments have tight restrictions because of their tight quarters; this problem often does not exist for home rentals. A rental home is often treated like your own home. You can play music loud at night; you can have pets; and you can smoke ‘til your lungs fall out (though you will need to pay for cleaning). There are a lot of things that can go wrong in a home, and if you are renting and have a large deposit on the line, you want to make sure that you don’t end up paying for wrongs you didn’t cause. This requires a thorough pre-move-in inspection, including taking picture and notes (with dates), and putting them in a safe place (scan them!). Stairs – Look for dangerous conditions, like loose nails. Electricity – Make sure sockets work and document those that don’t. Walls/Carpet – Look for stains and water damage / leaks. Roof – Take pictures of the roof’s status if at all possible. Accessories – Try out the railings, the closet door, the shades, etc. It can’t be stressed enough: Make sure you read your rental lease and understand how it will affect you. Learn more by reading about how rental leases work.